I love hearing stories of when my husband grew up eating great food from his grandma. We make Grandma Susan’s bread every winter and he frequently talks about her persimmon bread and her rhubarb pie. He also loves pretty much anything blueberry so whenever I can find a dessert or salad or … anything with blueberry, I get it for him to try. 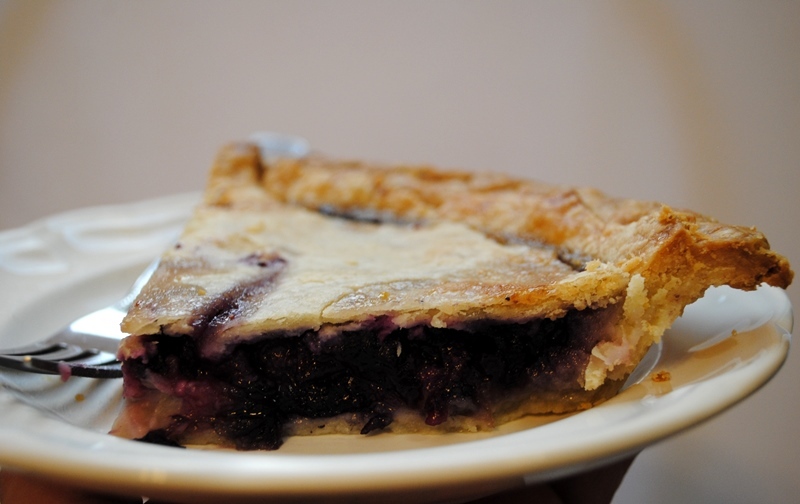 He recently pondered the idea of a blueberry rhubarb pie after we tried a blueberry rhubarb preserves, which even I agree was divine. I did a little research and learned that both fruits are more spring/summer fruits but I wasn’t deterred. It’s rare he asks for desserts so I decided to accept the challenge. Not the prettiest result, but it was delicious! 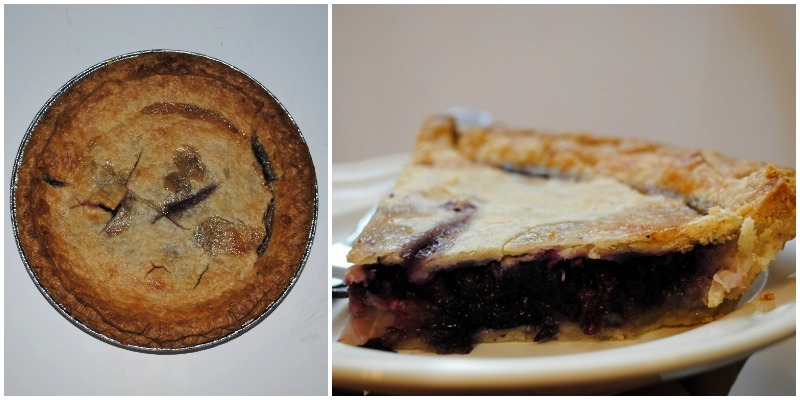 It was pretty easy once it all turned out and we came up with what I’m going to call Winter Blueberry Rhubarb Pie. 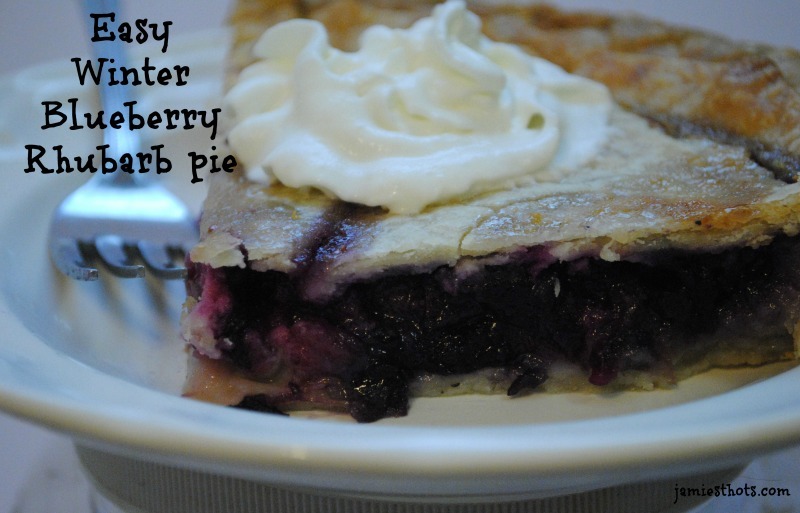 I also sometimes call it Redneck Winter Pie because we cut several corners that made the pie easy to bake. Don’t worry, no duct tape was involved. 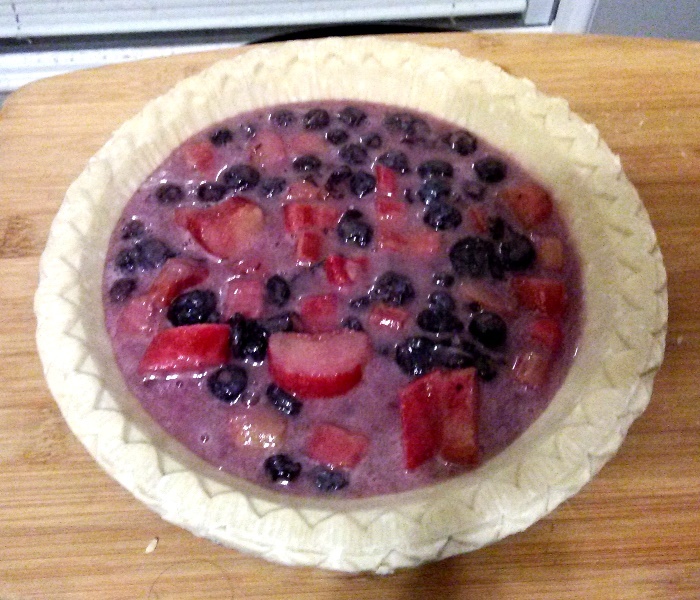 This pie uses frozen rhubarb and blueberries. 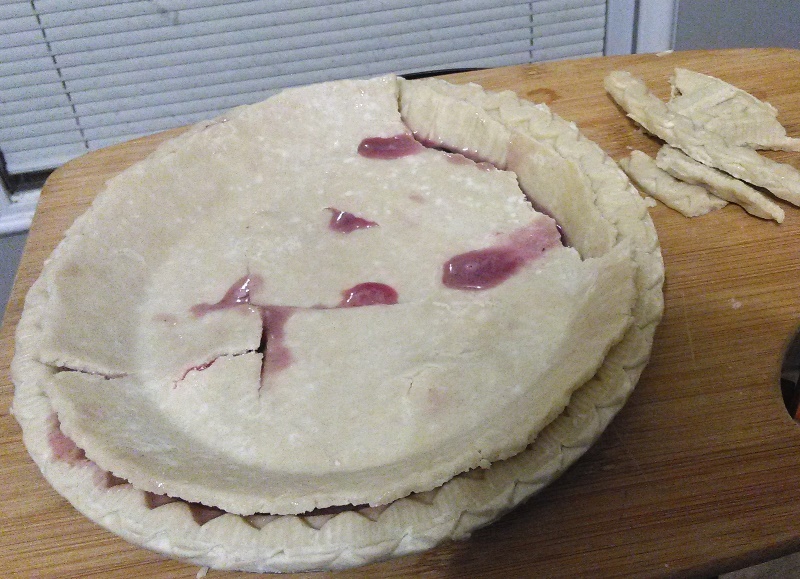 Pour the mixture into the first prepared frozen pie crust. 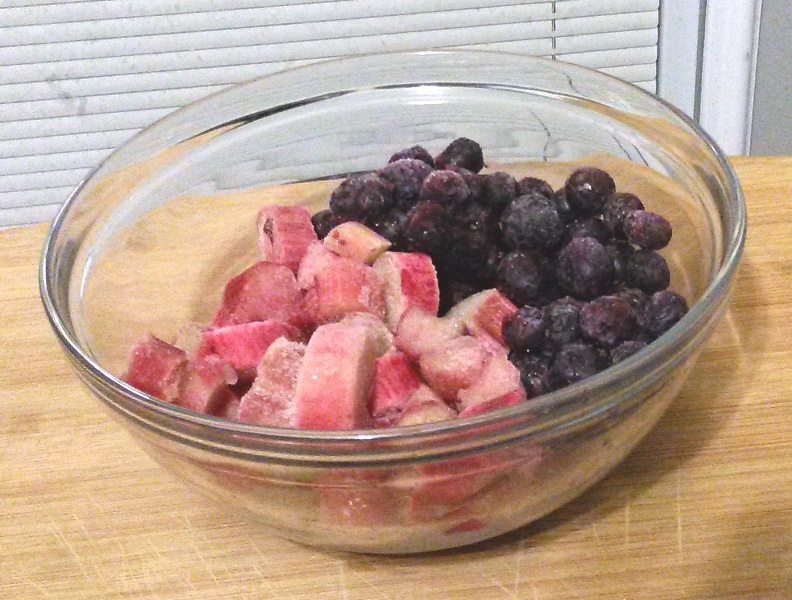 Place the slightly dethawed fruit in a bowl and add the sugar and egg. Mix well. Bake pie for 10 minutes then reduce the heat to 350 degree. Bake for another 30-40 minutes or until it’s golden brown and the filling is bubbly. Remove the edge of the second crust then press it gently into the first crust that is filled with the fruit mixture.